Summer/Spring collection is probably my ultimate favorite when it comes to fragrance. 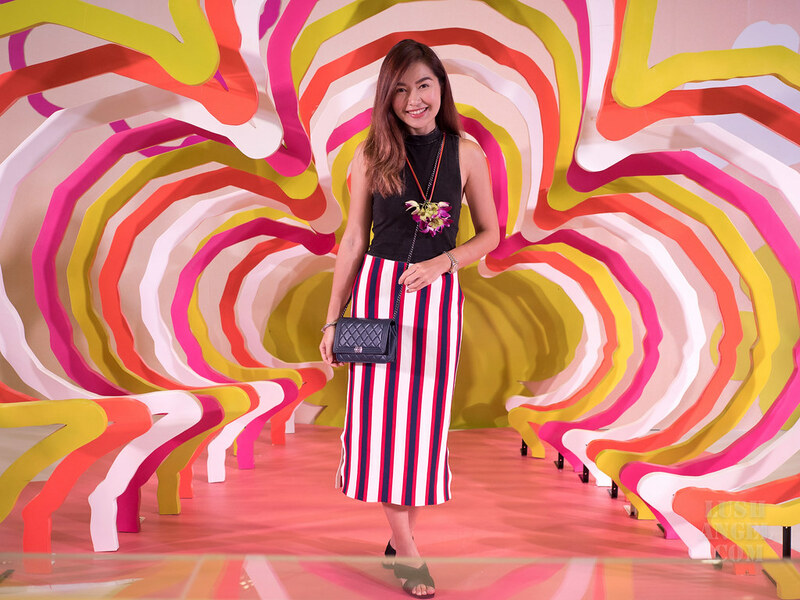 Scents for this season are usually light, fresh and fun to beat the summer heat. Obviously, Jo Malone London’s newest limited edition collections did not disappoint. Recently, they launched the Blossom Girls and Hot Blossoms. The Blossom Girls collection consists of three limited edition florals – fresh, fun, full of the joys of spring. A blooming Blossom Girl. Cerise splashes of plum blossom. Fresh with yellow plums. Billowing on a background of clean white musk. It’s soft, juicy, and blooming. It’s playful, radiant, and efflorescent. It’s delicate, airy, and pretty. 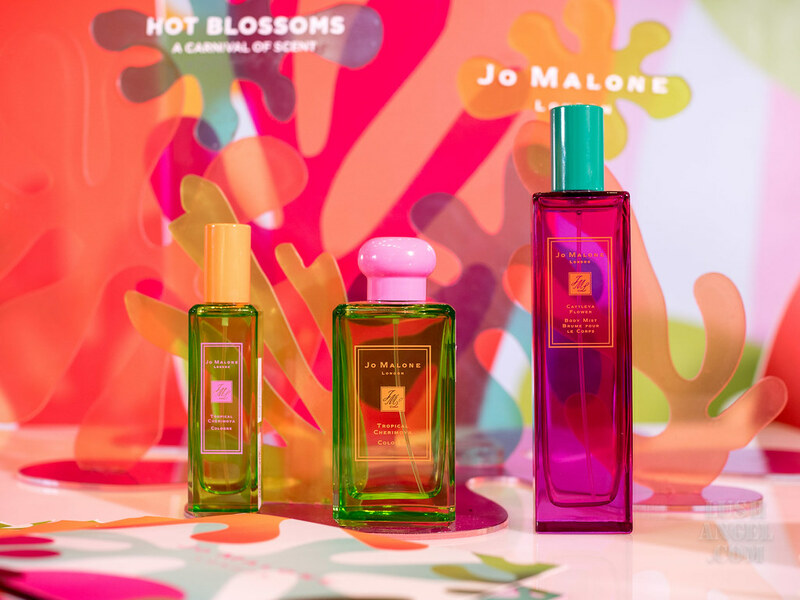 Another collection blossoming for a limited time is the Hot Blossoms, which includes Tropical Cherimoya Cologne and Cattleya Flower Body Mist. This collection is a carnival of scent inspired by Brazil. A sea of green cherimoya fruit. Topped with juicy pear. The sun-filled notes of passion flower. Warmed by Brazilian copahu resin. A delectable beach-side cocktail. Sumptuous cattleya orchid petals. Stirred with sparkling citrus fruit. Deepened by intoxicating vetiver. The scents can seem very similar from each other when first sniffed from the bottle. They can be a mix of floral, sweet, light and playful. But take note that when choosing a fragrance, it is a must to try it out on your skin since the real scent comes out when it blends with your body chemistry. This is also the reason why the same fragrance can smell differently on other people. Honestly, this is probably one of my favorite collections since this is my kind of scent– fresh floral. It was difficult for me to choose one among all the colognes. I initially thought of ranking Plum Blossom as my number one, but when I got home after 10 hours, I realized Sakura Cherry Blossom smells so good when it starts to mix with my oil and sweat. It is the lightest among all, but the scent gets better and better through time. This is also another tip when choosing a fragrance. Spray one or two on your arm then go around the mall first. Decide when it has completely dried down. On the other hand, Cattleya Flower Body Mist is the new surprise of the brand. It comes in a bigger bottle. I can imagine myself spritzing on this body mist when I’m in the beach or even when I’m in the city and I miss the beach vibe.